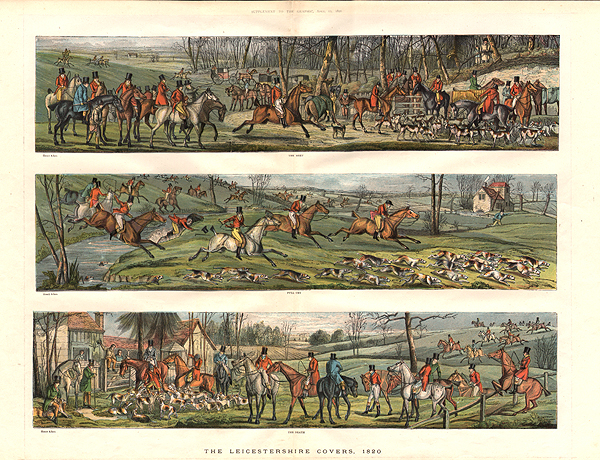 An antique coloured engraving which was published in "The Illustrated London News" on November 19th, 1859. 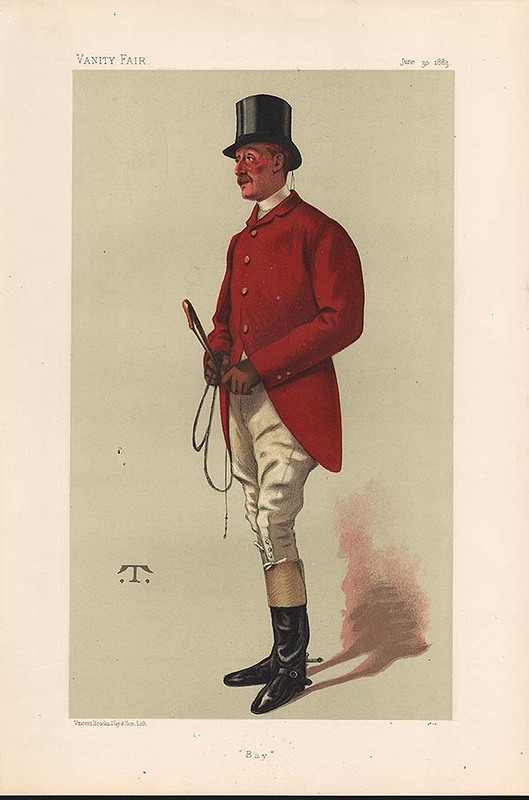 An antique print entitled "Billy" produced for the famous Victorian Magazine "Vanity Fair" founded by Thomas Gibson Bowles which commenced publication in 1869. For about forty five years caricatures of famous and infamous personalities were carried in the weekly issues of Vanity Fair. Subjects included Royalty, judges, politicians, musicians, sportsmen, artists, actors and criminals of Victorian and Edwardian Britain. This print by 'Spy' was published on 1st March, 1906. 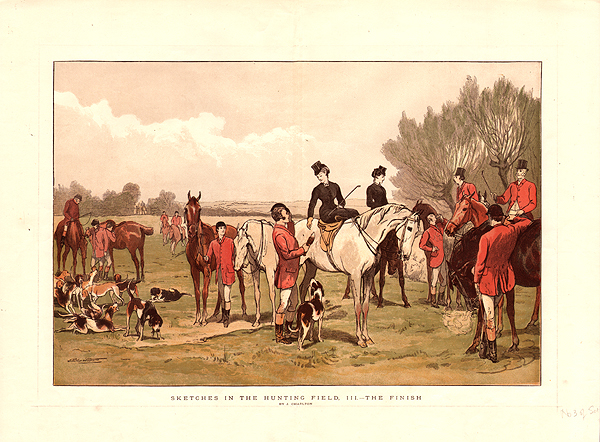 An antique print entitled "An M.F.H. with a sense of humour" produced for the famous Victorian Magazine "Vanity Fair" founded by Thomas Gibson Bowles which commenced publication in 1869. For about forty five years caricatures of famous and infamous personalities were carried in the weekly issues of Vanity Fair. Subjects included Royalty, judges, politicians, musicians, sportsmen, artists, actors and criminals of Victorian and Edwardian Britain. This print by 'Spy' was published on 23rd November, 1905. An antique print entitled "The Sinner" produced for the famous Victorian Magazine "Vanity Fair" founded by Thomas Gibson Bowles which commenced publication in 1869. For about forty five years caricatures of famous and infamous personalities were carried in the weekly issues of Vanity Fair. Subjects included Royalty, judges, politicians, musicians, sportsmen, artists, actors and criminals of Victorian and Edwardian Britain. This print by 'Spy' was published on 6th March, 1907. Sir Robert Bateson Harvey. Bt. M.P. 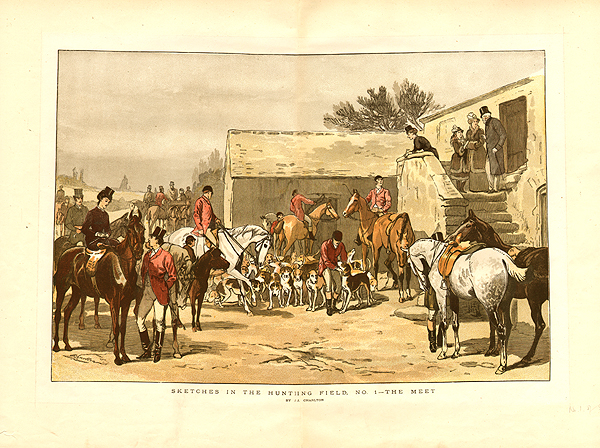 An antique print entitled "Bucks" produced for the famous Victorian Magazine "Vanity Fair" founded by Thomas Gibson Bowles which commenced publication in 1869. For about forty five years caricatures of famous and infamous personalities were carried in the weekly issues of Vanity Fair. Subjects included Royalty, judges, politicians, musicians, sportsmen, artists, actors and criminals of Victorian and Edwardian Britain. This print by 'Spy' was published on 7th November, 1885. 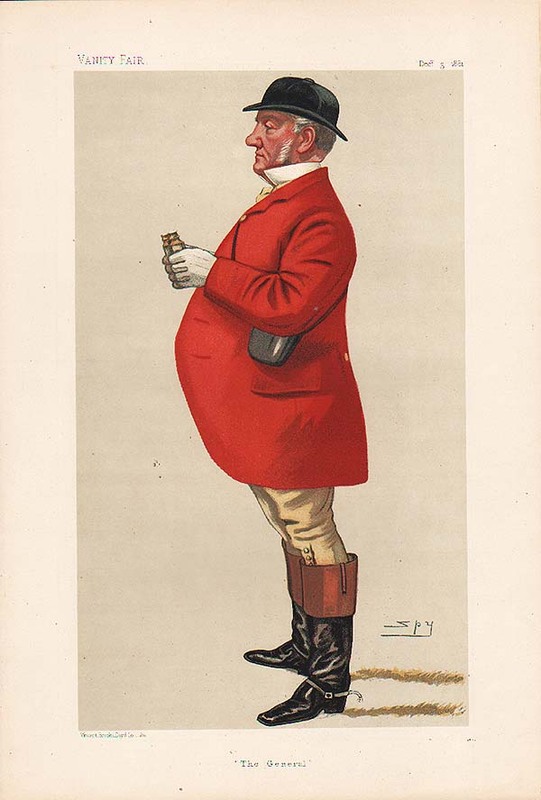 An antique print entitled "Mr Hargreaves" produced for the famous Victorian Magazine "Vanity Fair" founded by Thomas Gibson Bowles which commenced publication in 1869. For about forty five years caricatures of famous and infamous personalities were carried in the weekly issues of Vanity Fair. Subjects included Royalty, judges, politicians, musicians, sportsmen, artists, actors and criminals of Victorian and Edwardian Britain. This print by 'Spy' was published on 11th June, 1887. 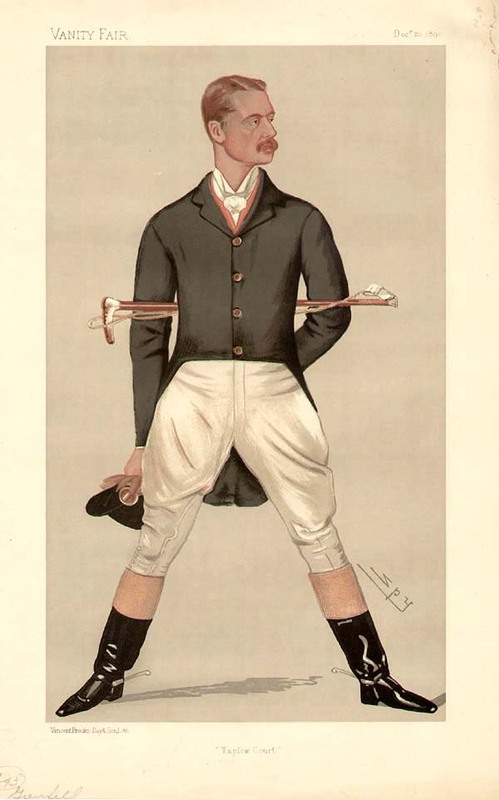 An antique print entitled "Cottesmore" produced for the famous Victorian Magazine "Vanity Fair" founded by Thomas Gibson Bowles which commenced publication in 1869. For about forty five years caricatures of famous and infamous personalities were carried in the weekly issues of Vanity Fair. Subjects included Royalty, judges, politicians, musicians, sportsmen, artists, actors and criminals of Victorian and Edwardian Britain. This print by 'Spy' was published on 15th December, 1906. An antique print entitled "Taplow Court" produced for the famous Victorian Magazine "Vanity Fair" founded by Thomas Gibson Bowles which commenced publication in 1869. For about forty five years caricatures of famous and infamous personalities were carried in the weekly issues of Vanity Fair. Subjects included Royalty, judges, politicians, musicians, sportsmen, artists, actors and criminals of Victorian and Edwardian Britain. This print by 'Spy' was published on 20th December, 1890. An antique print entitled "Bay" produced for the famous Victorian Magazine "Vanity Fair" founded by Thomas Gibson Bowles which commenced publication in 1869. For about forty five years caricatures of famous and infamous personalities were carried in the weekly issues of Vanity Fair. Subjects included Royalty, judges, politicians, musicians, sportsmen, artists, actors and criminals of Victorian and Edwardian Britain. This print by 'T' was published June 3oth, 1883. 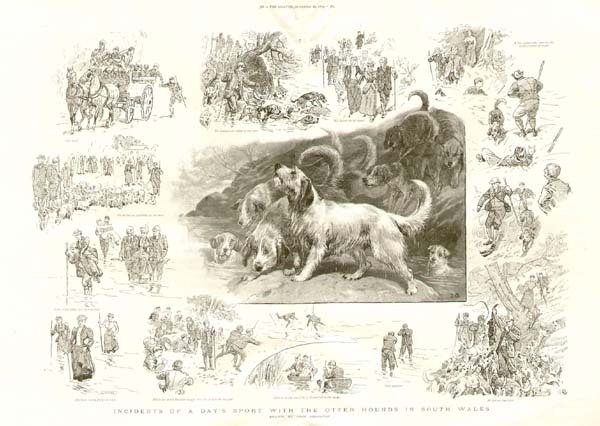 An antique print entitled "Doggie" produced for the famous Victorian Magazine "Vanity Fair" founded by Thomas Gibson Bowles which commenced publication in 1869. 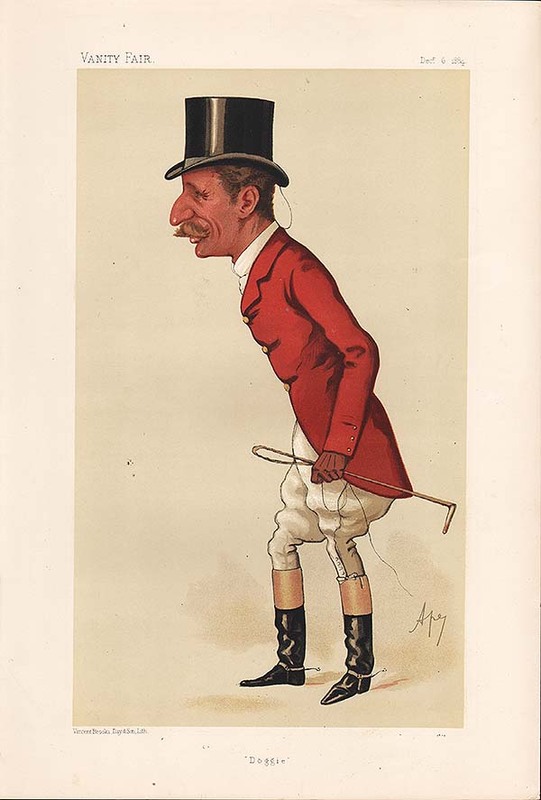 For about forty five years caricatures of famous and infamous personalities were carried in the weekly issues of Vanity Fair. Subjects included Royalty, judges, politicians, musicians, sportsmen, artists, actors and criminals of Victorian and Edwardian Britain. This print by 'Ape' was published December 6th, 1884. 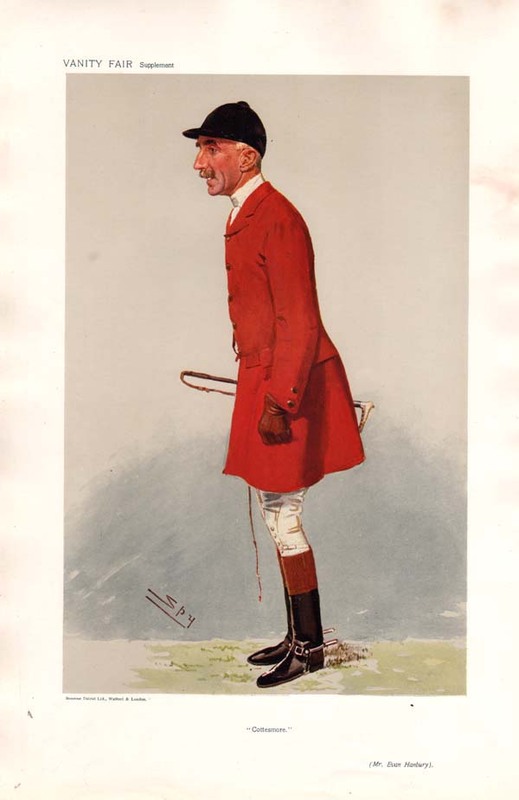 An antique print entitled "The General" produced for the famous Victorian Magazine "Vanity Fair" founded by Thomas Gibson Bowles which commenced publication in 1869. For about forty five years caricatures of famous and infamous personalities were carried in the weekly issues of Vanity Fair. Subjects included Royalty, judges, politicians, musicians, sportsmen, artists, actors and criminals of Victorian and Edwardian Britain. 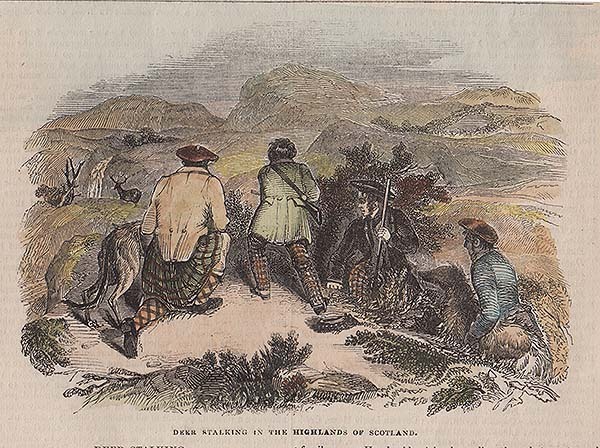 This print by 'Spy' was published December 3rd, 1881. Deer Stalking in the Highlands of Scotland. An antique woodcut engraving which was published in 'The Illustrated London News' . 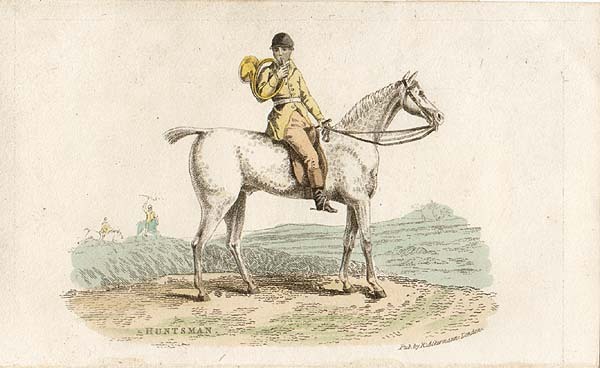 Circa 1842 with later hand colouring. 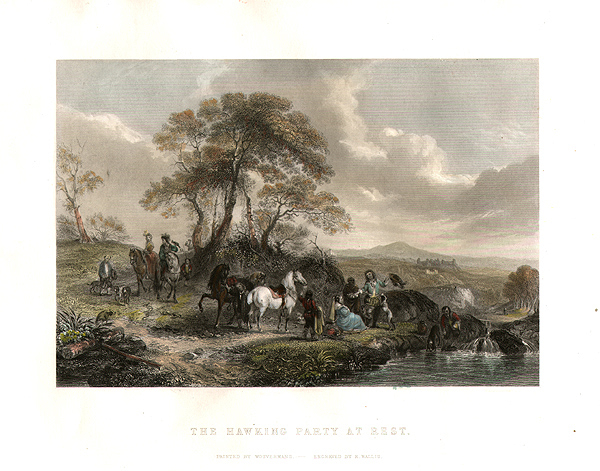 The Hawking Party at rest. An antique line engraving by R. Wallis after Wouvermans. Circa 1850 with later hand colouring. An antique etching 'London Published, at 31 Ely Place, E.C.' Circa 1850. Later coloured by hand. Overall age toned. 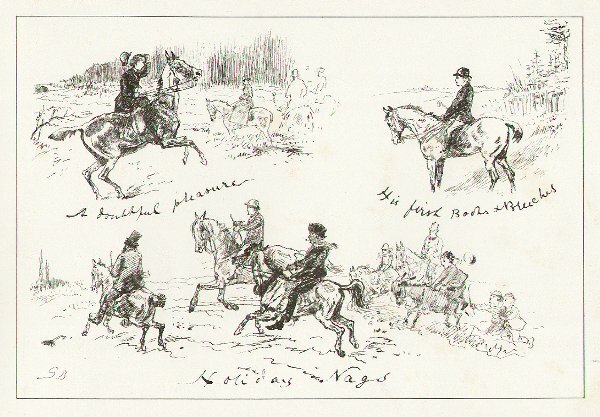 Sketches in the Hunting Field. No.3 - The Finish. 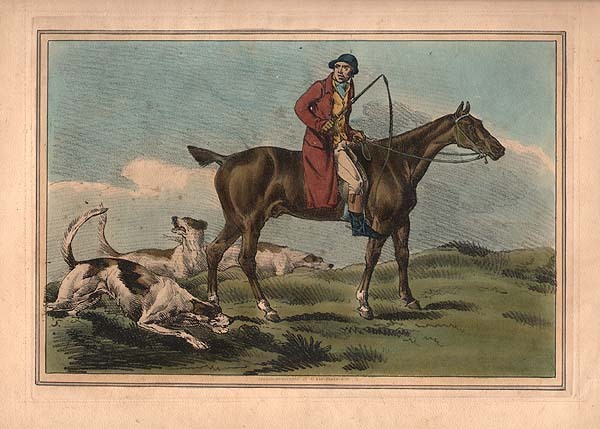 An antique colour printed engraving after J. Charlton. Published in a "Supplement to The Graphic" February 16th, 1878. 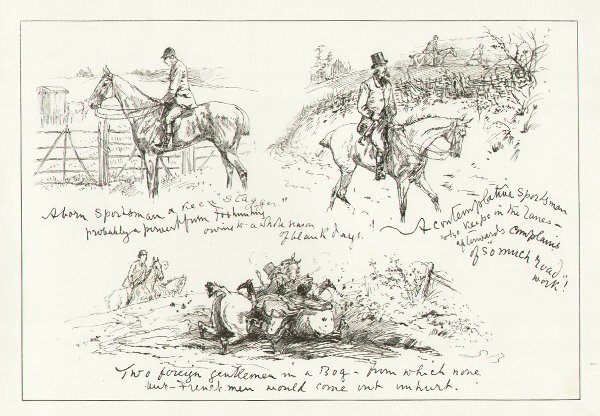 Sketches in the Hunting Field. No.2 - The Rivals. 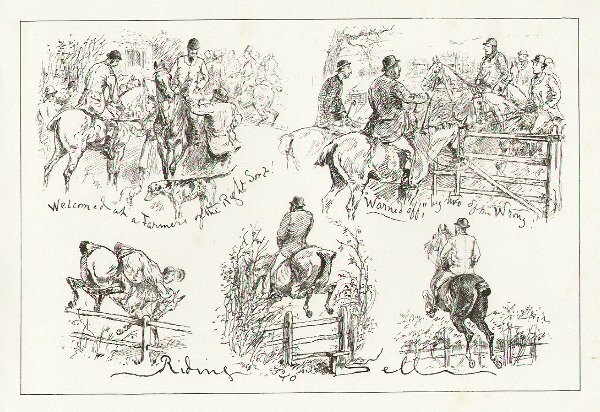 Sketches in the Hunting Field. No.1 - The Meet. 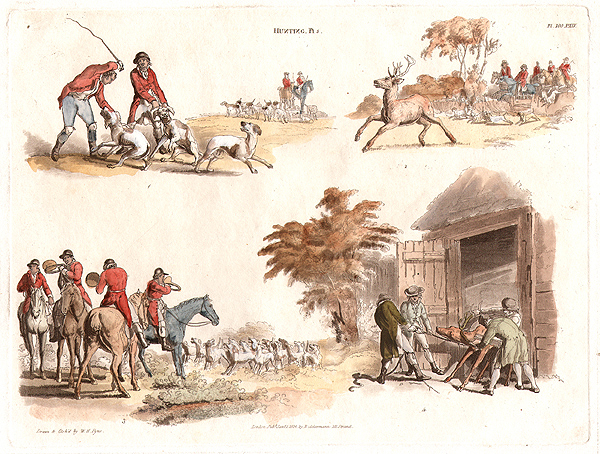 More Info Three antique engravings by H. Alken - 'The Meet', 'Full Cry' and 'The Death'. These were published in a "Supplement to The Graphic" April 12th, 1890. 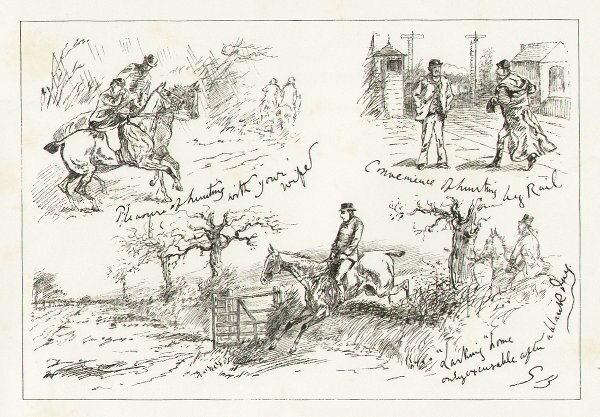 Three antique engravings by H. Alken - 'The Meet', 'Full Cry' and 'The Death'. These were published in a "Supplement to The Graphic" April 12th, 1890. Quorn Hounds at Kirby Gate. 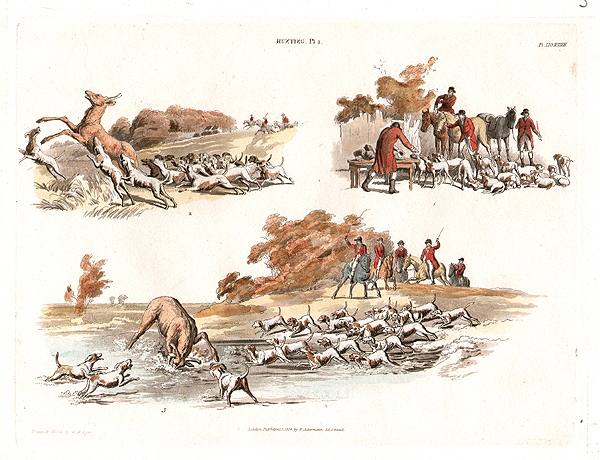 A woodcut engraving entitled "Quorn Hounds at Kirby Gate" published in "The Illustrated London News" on November 6th, 1875. The colouring is later. 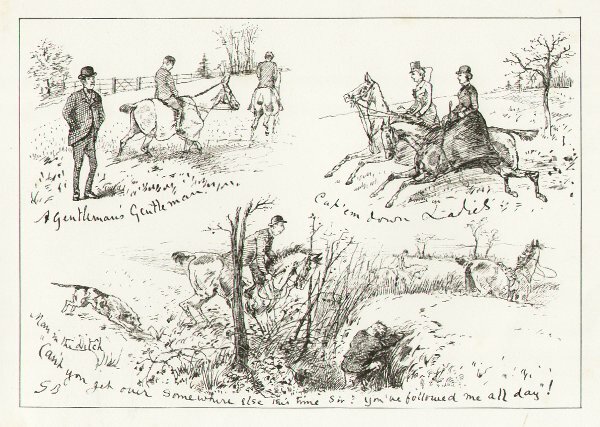 Hunting in Cardiganshire - Digging out the Fox. More Info A woodcut engraving of a drawing by John Charlton, published in "The Graphic" on February 14th, 1891. The colouring is later. 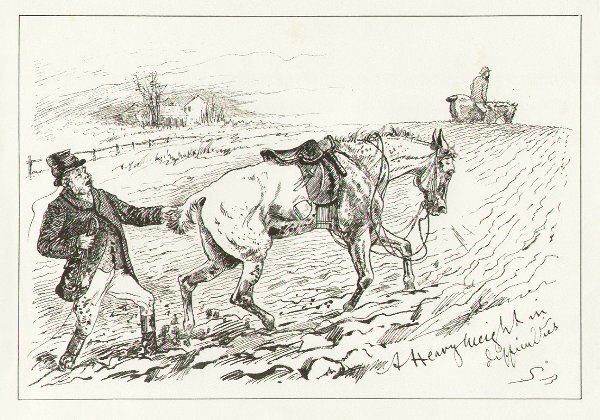 A woodcut engraving of a drawing by John Charlton, published in "The Graphic" on February 14th, 1891. The colouring is later. An antique woodcut engraving which was published in "The Illustrated London News" on March 29th, 1884. The clouring is later. 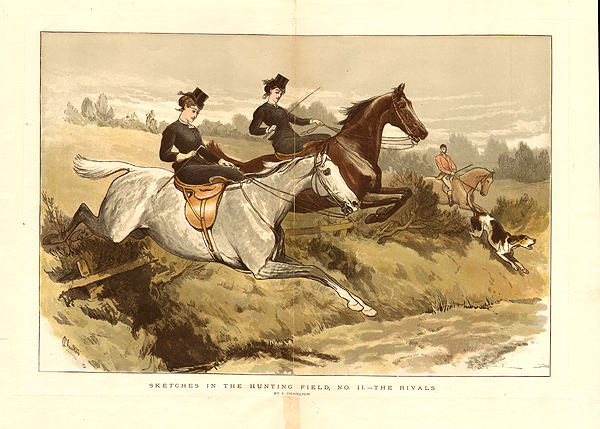 One of a series of lithographs by G. Bowers published in "Canters in Crampshire" Circa 1890. 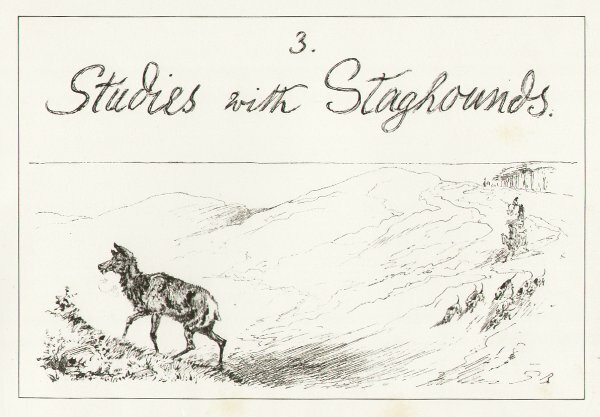 A woodcut engraving entitled "Sketches of Highland Deer-Stalking" published in "The Illustrated London News" on December 29th, 1883. 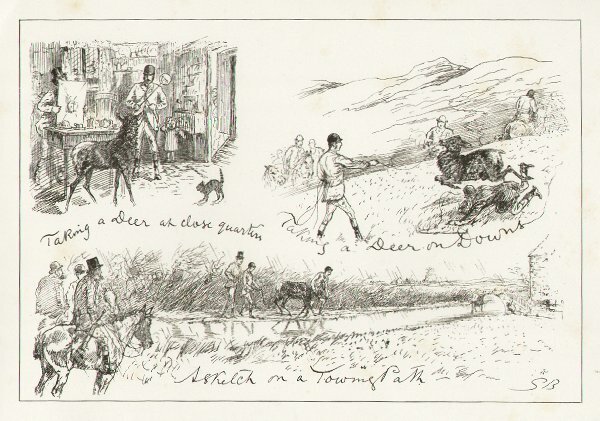 An antique etching drawn and etched by W.H. Pyne. Published by R. Ackermann in 1824. Later coloured by hand. An antique aquatint engraving published by R. Ackermann. Published in 1824. The colouring is original. Pointer and Setter Grouse Trials at Rhiwlas, North Wales. 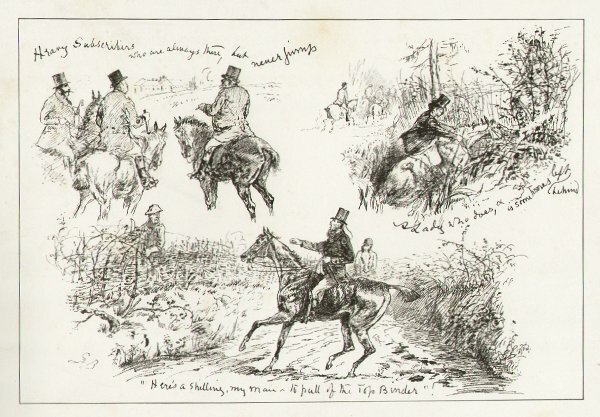 A woodcut engraving entitled "Pointer and Setter Grouse Trials at Rhiwlas, North Wales" published in "The Graphic" on August 23rd, 1873. The colouring is later. Otter Hounds in South Wales. 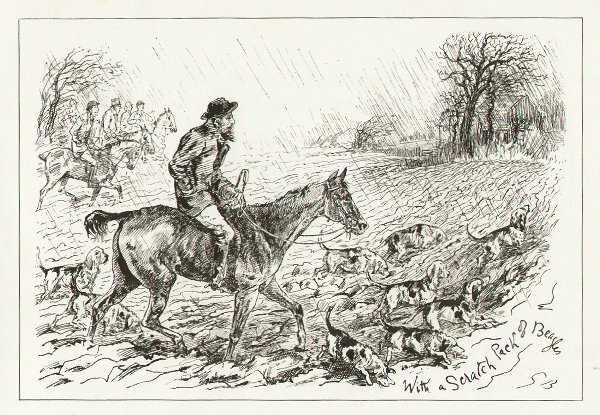 A woodcut engraving entitled "Incidents of a Days Sport with the Otter Hounds in South Wales" published in "The Graphic" on September, 28th, 1895 The colouring is later.